Intusoft offers a full set of tools for Analog, Digital and Mixed circuits allowing schematic capture simulation, debugging and analysis of your project. Intusoft may be the only company, worldwide, to continue developments around the SPICE kernel and, every year, to patent algorithms or techniques improving accuracy or reducing simulation time. Intusoft provides the most professional mixed signal simulation package available on PC with workstation capabilities, at PC price. It offers a complete design and analysis package which features schematic entry, IsSpice4 (the native analog and mixed signal simulator), extensive device libraries, and powerful waveform processing including scripting capabilities, all integrated in one easy-to-use interactive environment. ICAP/4 is called "The Virtual Circuit Design Lab" because it can simulate all types of system, board, and IC level designs right on your computer. Test Designer – Features the ICAP/4 Professional premiere analog and mixed-signal solution (below), and adds the industry’s only full test and fault synthesis for analog and mixed-signal design. Includes automated fault tree and isolation strategies. Also generates detailed test coverage reports. Applicable for all types of system, IC, and board-level design. ICAP/4 Windows – An extensive SPICE toolset for analog and mixed-signal design. Power Supply Designer – Combines the ICAP/4Windows Power Deluxe tool suite and Magnetics Designer for the design and synthesis of all types of transformers and inductors; and Library Manager parts management system. Differences between all products and what their features are. *Note: Temporarily disable any anti-virus programs before installing. If you are experiencing difficulties with the download please contact us at 310-547-0197 or E-mail to receive a free demo CD in the mail. Please include your name and complete mailing address. - The ICAP/4Windows Demo has a 20 Parts simulation limit. If you place more than 20 parts on the schematic, or place a subcircuit model comprised of more than 20 parts, the Demo CD will provide a "too complex" message and will not simulate the design. 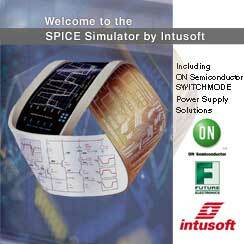 Note: No limitation in the Demo CD is imposed regarding the addition of your own SPICE3 compatible models. - Explore "GFT," a truly cutting-edge modeling technique for measuring open-loop properties in a closed design topology without breaking the loop. Valuable for the design of power electronics, ICs, servo systems…any loop configuration. Its creator, Dr. R. David Middlebrook with California Institute of Technology, also presents a wealth of techniques for successful SPICE simulation. The ICAP/4Windows demo includes GFT Templates and also a User's Manual written by Dr. Middlebrook.